This chair is the perfect host. 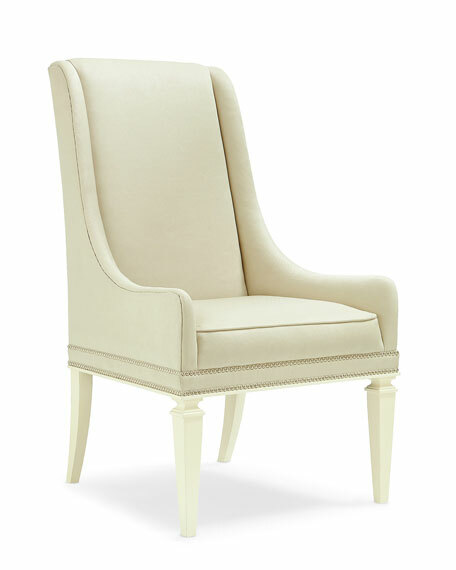 It has a tall back, gracious sweeping lines, comfortable seating, and square tapered legs. Not overly fussy, nor too casual, this upholstered piece is covered in a neutral boucle fabric that allows you to entertain in style. 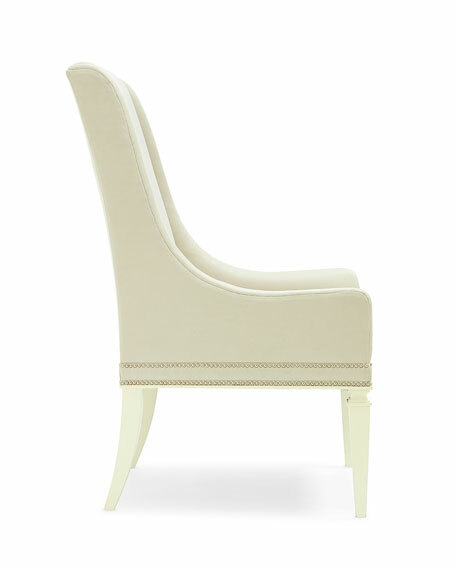 Pale golden nail head trim around seat. 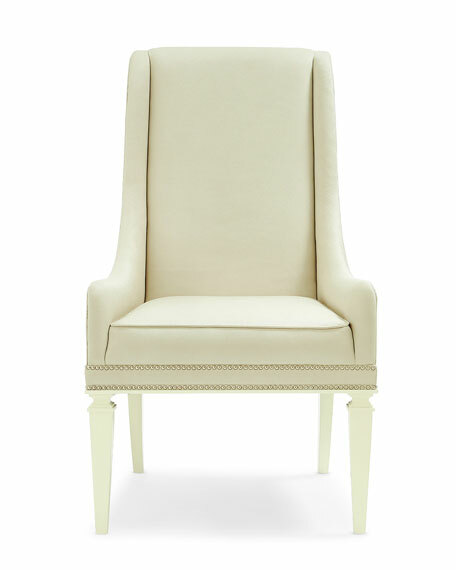 Birch wood frame; polyester upholstery. Approximately 24.5"W x 28"D x 42.3"T.